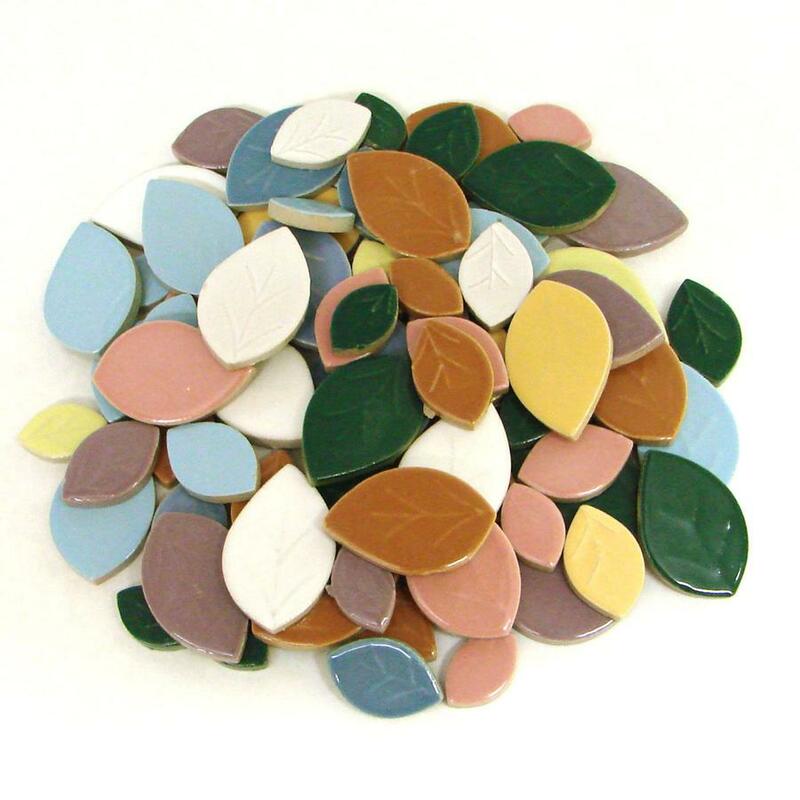 Our colorful life-like leaf tiles come in a beautiful assortment of colors and sizes. 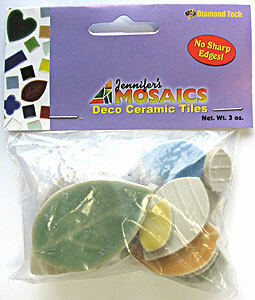 Great for accent pieces, borders or primary design elements. Leaves measure up to 2" long. 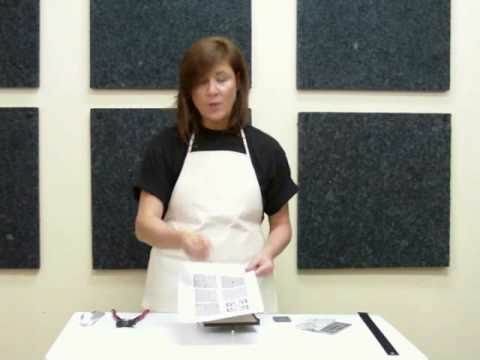 Sold in one pound bags. 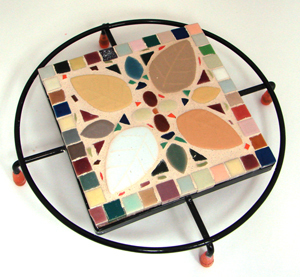 Trivet project below created by Julie Haan using Leaf Tiles#612717 and trivet #612735. 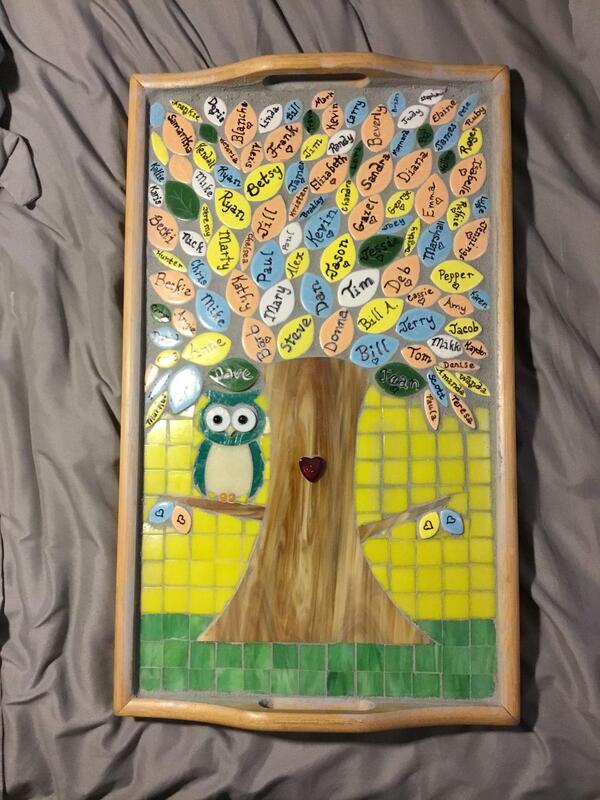 ?Mosaic tree project by artist Donna Wheeler, from Delphi's Online Artist Gallery.